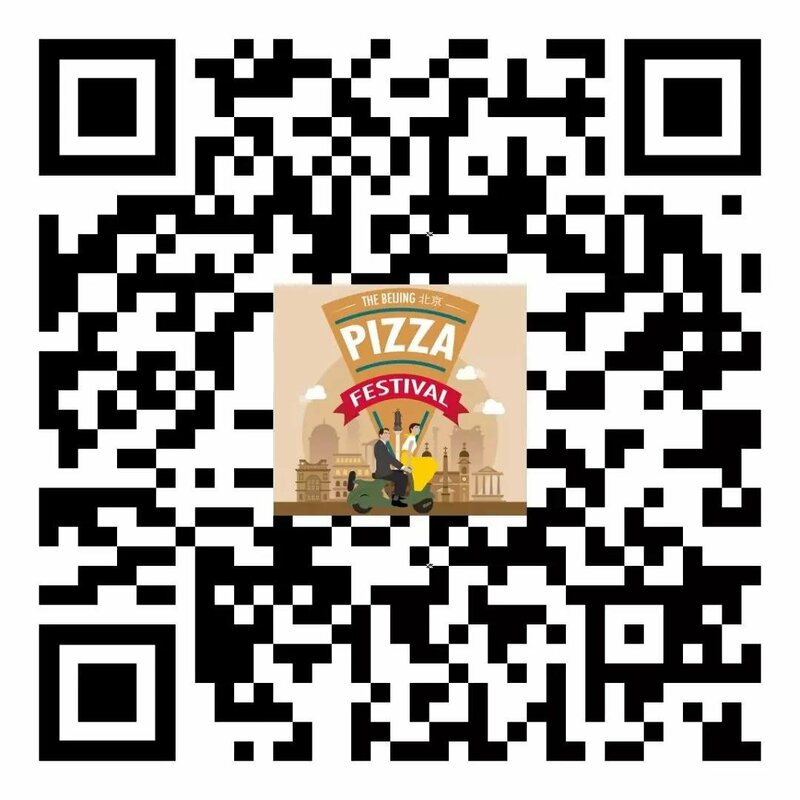 Coming to This Year's Pizza Festival? Why Not Make a Day of It! You are at:Home»Things to Do»Dining»Coming to This Year’s Pizza Festival? Why Not Make a Day of It! 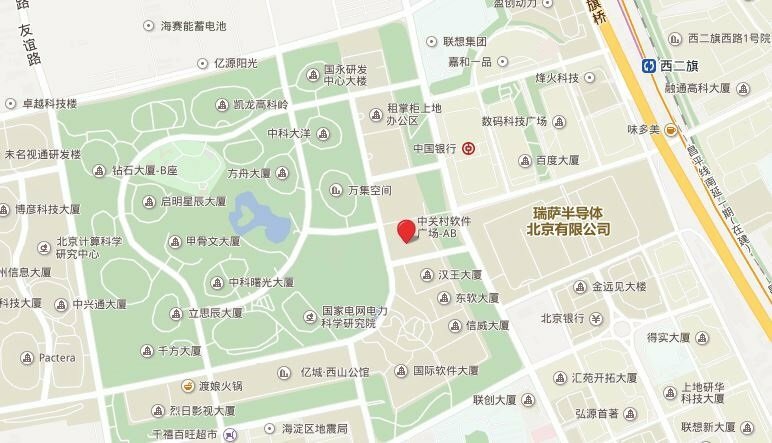 While Haidian haunts like Zhongguancun are off the beaten path of many a Beijing expat, who may prefer the dusty hutongs or shiny CBD joints, this year’s Beijing Pizza Fest, Oct 13-14 at Zhongguancun Software Park, is a tempting opportunity to break some fresh ground in an exciting, untapped locale. That prospect is, of course, made all the more enticing given the number of delectable pizza slices being served up at the event, not to mention the breezier ambiance (especially compared to chock-a-block crowd density at more centrally located events). 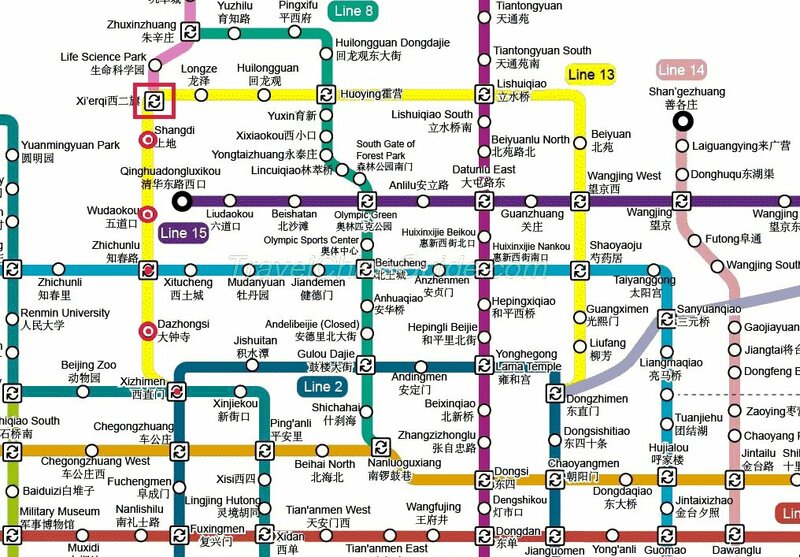 Better still: getting to Zhongguancun is not anywhere difficult as the daunting name may otherwise imply, thanks to subway upgrades that make the route a quick hop, skip, and a jump from the center. 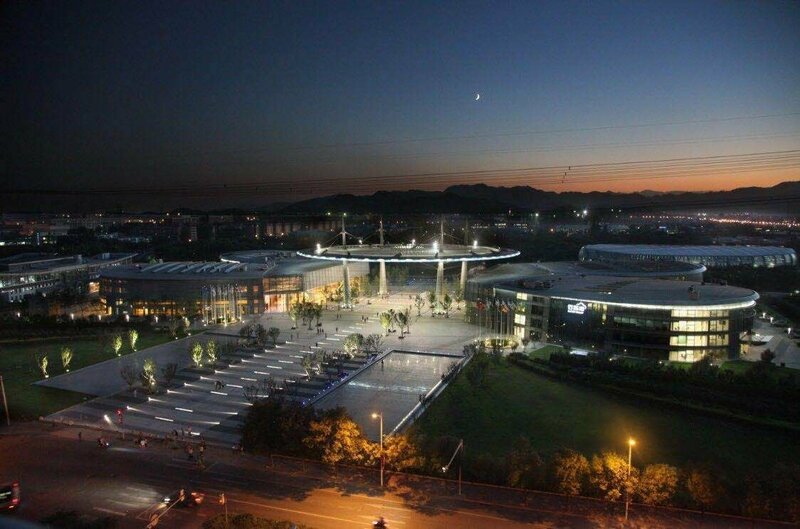 To get to this year’s event, held at the sprawling Zhongguancun Software Park, simply take subway Line 13 to Xi’erqi (西二旗) station. After that, walk one block to Shangdi 10th Street to the entrance of the park, a sleek, modern, airy venue with loads of green space to settle down on as you munch away on the vendors’ cheesy wares. Best yet: group ticket early bird buyers (three tickets and up), will get a free picnic blanket upon arrival so as to best soak up all that free space when you’re not making relays back for your next slice. Other early birders will get a complimentary bandana. Many a savvy Pizza Fest attendee will be keen to double up and visit another event in the vicinity. While filling up at our doughy happening, there’ll also be a bucketload of bands, DJs, and live entertainment rolling on and off stage throughout the day. A day of pizza and drinks: cheers to that! 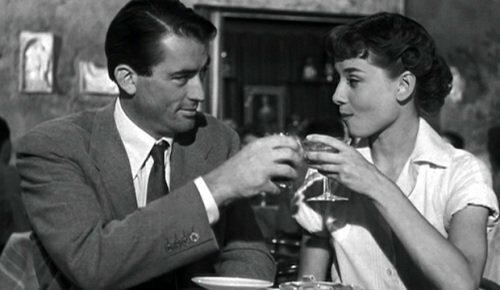 If you’re feeling extra snazzy, remember to come in your chicest threads on account of this year’s theme: Roman Holiday, after the iconic 1953 romantic comedy starring Gregory Peck and Audrey Hepburn. This year, we pay homage to the Italian capital and the iconic dish that the country birthed – pizza – by eating a lifetime’s worth of the stuff. 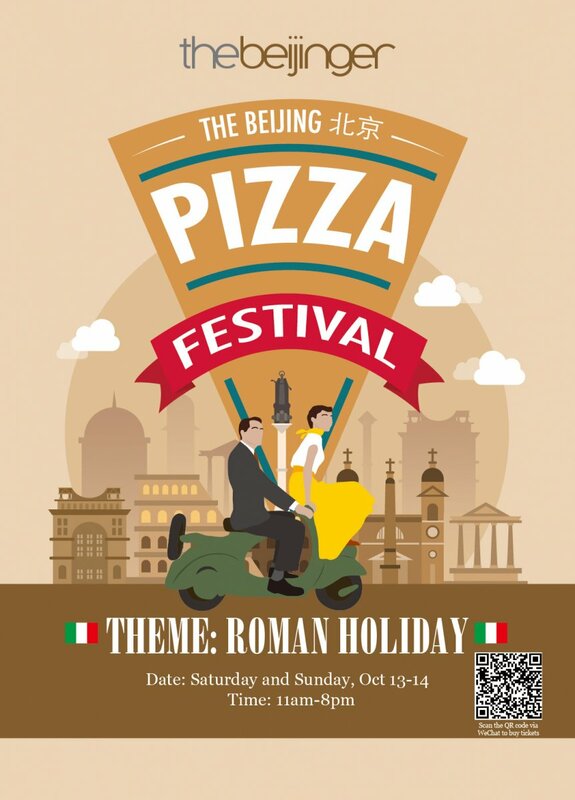 Tickets are now on sale for the 2018 Beijing Pizza Fest. As mentioned above, early bird ticket buyers will receive a complimentary vintage bandana, while group ticket buyers (three tickets and up) will receive a free picnic blanket. Tickets are RMB 20 for early birds or RMB 30 on the door and can be purchased by scanning this QR via WeChat.